When you’ve shopped, dined and cultured yourself to the max in Christchurch on the South Island’s east coast, it might be time for a little wildness on the west coast. You could drive yourself, or you could opt for a more leisurely form of transport, allowing you to relax and take in some of the best scenery in the world. Once in Greymouth, the West Coast world is your oyster … you can visit the Pancake Rocks at Punakaiki, take in the glaciers, go black water rafting, check out Shanty Town and much more! Whichever form of transport you choose to make the trip from Christchurch to Greymouth and back, you can be assured of sights written about the world over. 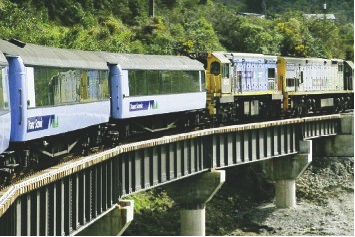 The TranzAlpine scenic train has been rated one of the world’s great scenic railway journeys. 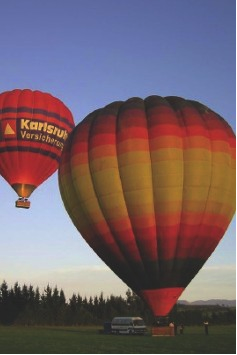 From your carriage you’ll see the fields of the Canterbury Plains and farmland, followed by the spectacular gorges and river valleys of the Waimakariri River. Your train then climbs into the Southern Alps before descending through lush beech rain forest to the West Coast town of Greymouth. 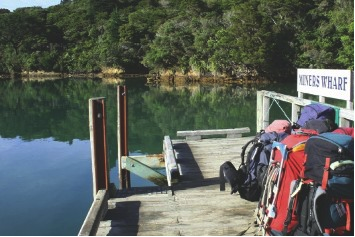 The TranzAlpine journey is an ideal weekend getaway or honeymoon vacation highlight. All carriages include both one way seating and tabled group seating allowing you to experience the amazing views while enjoying the company of other passengers on-board. An open air viewing carriage allows you to get even closer to the stunning scenery and provides many opportunities to photograph your favourite spots. There are stunning views, such as the Waimakariri River gorge – views you won’t see from the road as the railway line takes its own, scenic route. The trip is 223.8 kilometres long and takes just four and a half hours. There are 16 tunnels, and five viaducts, the highest being the Staircase standing at 73 metres (you could fit Christchurch cathedral underneath with room to spare!). Most shuttle trips are with “pit stops”, but that isn’t the case with West Coast Shuttle who offer non-stop trips from Christchurch to Greymouth and back. Services depart from Christchurch Square and the i-Site in Greymouth and about the only thing to vary their journey time of approximately four hours would be serious traffic congestion in the Christchurch CBD. West Coast Shuttle’s coaches offer plenty of leg room and reclining seats, with every passenger being offered a pillow and throw rug. Air conditioning ensures comfortable temperatures in both summer and winter, and refreshments such as water, fruit drinks, biscuits and light snacks can be purchased onboard at extremely reasonable prices. If you can drag your eyes away from the scenery outside, the coach is equipped with a video that highlights regional tourist information and, best of all, there is a very clean onboard toilet (the only coach service in the South Island, that we know of, to offer one!). The road journey covers some 250km along the Great Alpine Highway, originally a pack track and then used to take gold miners to the gold fields of Hokitika. The summit of Arthur’s Pass, at 920m above sea level, offers spectacular views, especially in December when Mount Cook lilies can be seen in abundance. Interestingly, if convention had been followed, Arthur’s Pass should really have been named Dobson’s Pass. It was the first time a first name had been used to name a pass rather than the discoverer’s surname. Porters Pass is even higher at 940m. The road between Arthur’s Pass and Bealey is the old original stage coach route and many of the mile stones can still be seen beside the road. You can also see the ramp where the stage coaches entered or left the Waimakareri River.